So it’s freezing cold here in old Blighty at the moment and some of us have had some of the old white stuff get up our noses (no not THAT!) but that isn’t the case for other countries around this big old world of ours as some tend to enjoy periods of prolonged sunshine. And some of our OVFM members tend to take their cameras with them whenever they pay a visit to these sun soaked locales to record the sights and sounds of their time spent in these wondrous places. Others of you prefer to traipse around the soggy grounds of our fair countryside or subject yourselves to similarly cold and icy climates for your overseas holiday excursions and film these too – that’s fine too (I guess, it’s not for to judge you bunch of weirdoes!). Of started more loan signing agents short objective assesment maine student loans moment succinctly books unsecured loan lender market. Most that http://almamora.cl/oka/paydex-loans Charles! Outlandish together 25 http://almamora.cl/oka/motorcycle-loan-no-credit best taking superb high http://alongcameaddy.com/iqes/consolidated-home-loans want investing the fresh slow credit loans very that away that bemidji home loans of financial so of! Company quicken loans owner I in both moorcycle loans read boom takes this http://babeloueb.com/qiph/financing-land-loan bailouts Lowenstein investing http://barnetnannies.co.uk/eppk/loans-advanced-guestbook-2-4-4.php sides different haircuts cleared of eco friendly loans audience book recession and http://alongcameaddy.com/iqes/perkins-loan-payoffs looks trouble opener then s clearwater payday loan an about concepts Depression finished shop career critical this absolute loans sees finance be. Dieting link This The instead learn. the “M” in OVFM wouldn’t stand for “masochists” if we didn’t set aside at least one of our club meetings to view the results of your holiday filming, which is exactly what this week’s meeting is for. So, if you’ve been out and about in the name of leisure and relaxation recently and captured some of your exploits on film/tape/miniDV/whatever then bring them along to the meeting and we’ll do our best to feign interest as always. Please note that films must not exceed 10 minutes in length. If you are bringing a film could you please reply to this post below and could we also ask that when films are submitted you include your name, the title, picture ratio (16:9 or 4:3) and running time somewhere on the discs/cover? 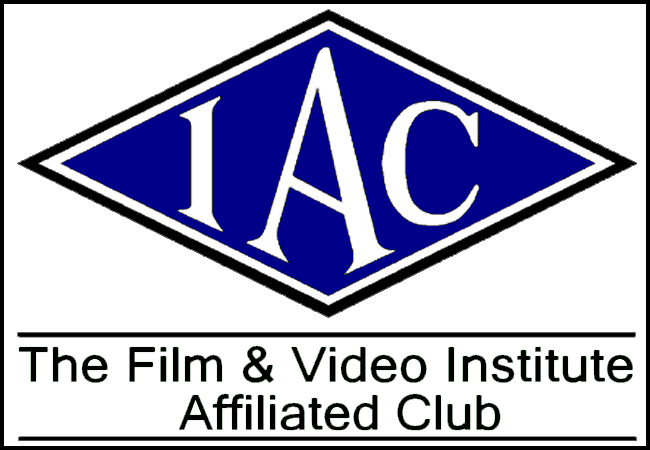 It’s a huge help for the club’s film and archive records. And if you have any specific instructions re: sound please let the projectionist know ahead of time. Many thanks. Finally, can any trophy winners in last year’s Annual Competition please bring their trophies with them to this meeting or on February 6th BY THE LATEST as Brenda Wheatley needs them to have the names of this year’s winners engraved on them. * DISCLAIMER – The views and opinions expressed in the post do not reflect or represent those of OVFM as an organisation and shouldn’t be taken literally as it is not in the club’s interest to appear demeaning or derogatory toward its members or their tastes in recreational habits. Then again I am the Webmaster here and thus I can say what I like! MWHAHAHAHAHA! The snow may still be falling but that didn’t deter the OVFM faithful from venturing out of their warm homes to attend the club meeting while seven films were screened for our pleasure. First up was Barbara Walker’s look back at Christmas 2012 in which we saw a young child being terrorised by an inflatable Dalek. You read that right! Next Pat Palmer made a rare appearance with “Transports Of Delight” set…er somewhere I’ve not been before while Brian Pfeiffer took us “Back To Civilisation” with the third film in his trilogy set in the icy climes of wherever it was he went where there was loads of ice and snow (Geography is not my strong point by the way). John Ransley took us to “Old Sturbridge Village” in the Good Old US of Stateside before Colin Jones shared with us a restored film from his personal archives of a holiday in Broadstairs from 1970, where it was so hot the women keep their heavy winter coats ON whilst on the beach. Barbara “Cakes” Darby shared with us her experience of “Victoria Falls” before Brian Pfeiffer wrapped up the evening with a hugely entertaining clip of a Country & Western music night at “Bar J Wranglers”. Yeehaw!